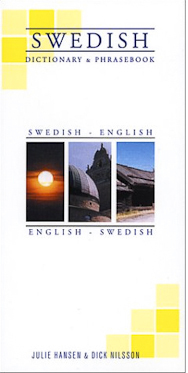 This dictionary and phrasebook is an essential resource for anyone visiting Sweden. A pronunciation guide and a grammar section ensure that users understand the structure of Swedish, while important contextual information will help travelers avoid embarrassing moments. The two-way dictionary has three thousand entries. The phrasebook contains more than twenty sections ranging from introductions to shopping and weights and measures (with conversion chart).